Power Curbers & Power Pavers enjoyed two great shows in Las Vegas this year: World of Concrete in January and ConExpo in March. 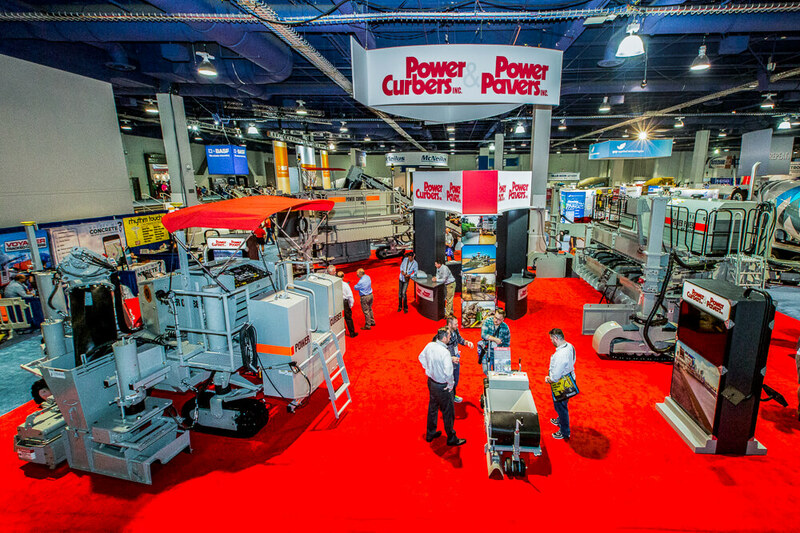 The numbers are, however, impressive. World of Concrete saw over 1,500 exhibitors and more than 55,000 registered industry attendees. 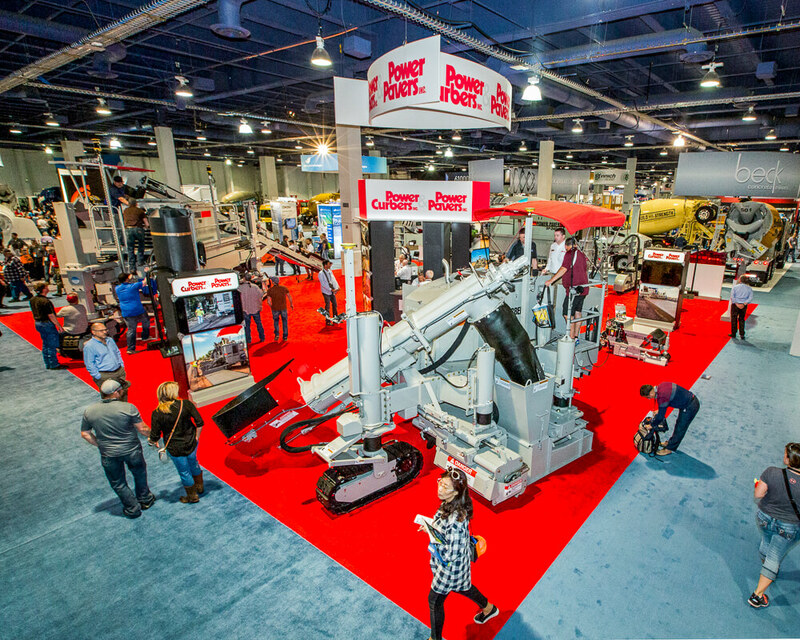 ConExpo boasted nearly 128,000 attendees who represented over 150 countries. “Residential and commercial construction markets are quite strong in the US and infrastructure investments worldwide are driving demand in many developing markets,” Bullock added. 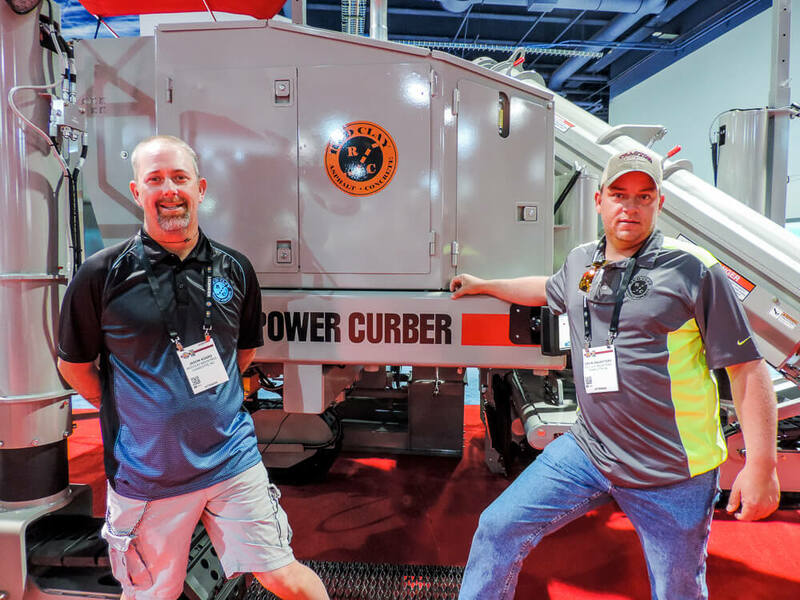 The Power Curbers & Power Pavers booths at both shows displayed a variety of curbing and paving equipment, including the all-new Power Curber 7700 and Power Paver SF-2404, which made their debuts on the ConExpo show floor. 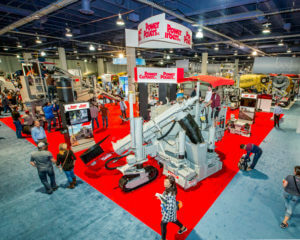 “Participation in the shows is critical for us,” said Bullock. 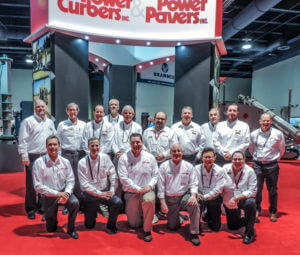 “It’s important not only for marketing purposes, but to spend time face-to-face with our customers to hear about their work and how we’re doing supporting their machinery, and getting their input on our new line of four-track pavers is instrumental to our business. 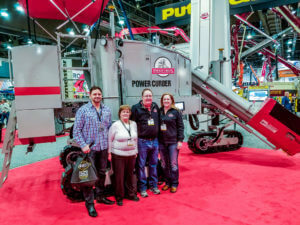 The shows are a highlight of our year as time spent in direct conversation with our customers is both enjoyable and valuable to us,” Bullock concluded. 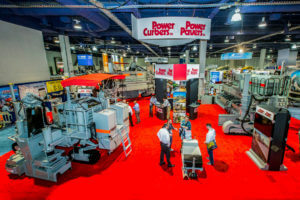 International trade shows also continue to be time well spent. 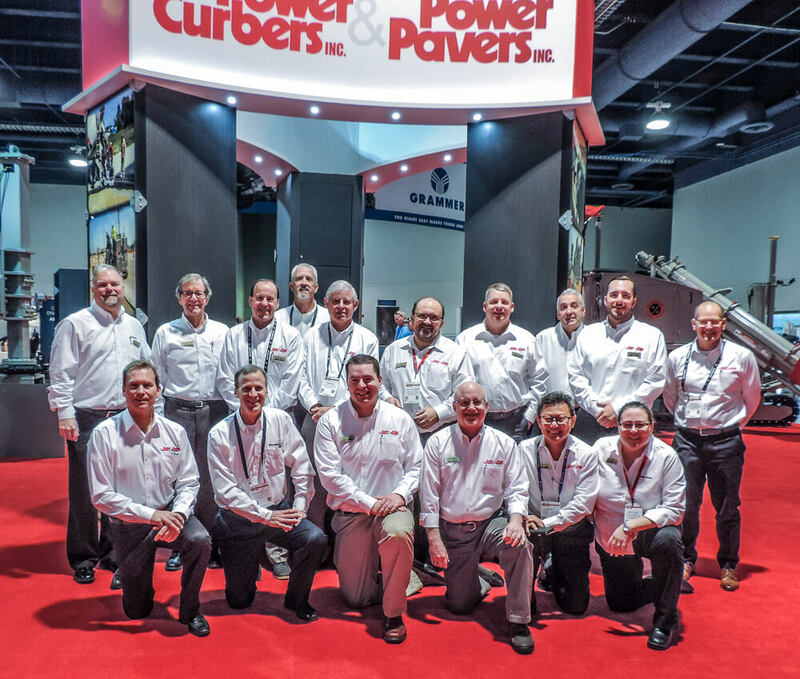 Serkan Ugurlu, Electronics Engineer and Foreign Trade Director for ESSA Grup, the Power Curbers & Power Pavers dealer in Turkey, reports strong attendance at shows there, as well. ESSA Grup displayed two Power Curber 5700-C machines and two 150 extruders at the Komatek International Construction Machinery, Technology and Equipment Trade Fair, held in early May in Ankara, Turkey. 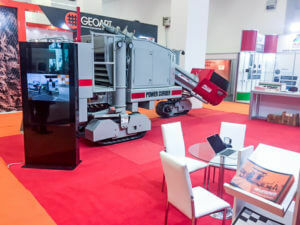 The equipment was also on display for the Roads, Bridges and Tunnels Fair, also held in Ankara later in May. 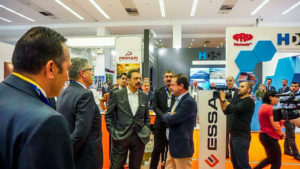 At that exhibition, ESSA Grup demonstrated the 5700-C to the Turkish Minister of Transport as well as the national General Directorate of Highways.